Allen might be telling the truth, but in actuality, he never reveals the titles or plots of his movies far in advance, so it’s no surprise that he has no details for us right now. But Allen’s is a huge name in entertainment, and whatever he comes up with will no doubt be eagerly anticipated once writing, shooting, and editing are through and the finished episodes are ready to be streamed. This is a case of Allen coming full circle. This is a shrewd move for Amazon, one that should make them a stronger competitor to Netflix, which has had major success with House of Cards and Orange Is the New Black. 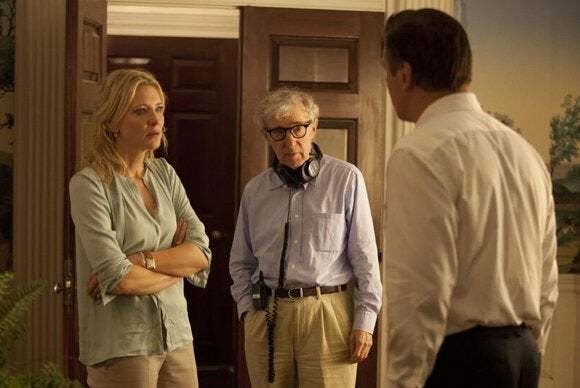 On the plus side, Allen has won four Oscars, one for directing and three for writing, and over the years his casts have earned 18 acting nominations (including one for himself, in Annie Hall). Additionally, he’s still a hitmaker. Midnight in Paris (2011) and Blue Jasmine (2013) both turned profits on their modest budgets. He has the respect and admiration of many critics, as well as many in Hollywood. Many top actors will sign up to work with him without even seeing a script. On the down side, Allen last year was openly accused of molesting his adopted daughter Dylan Farrow when she was just a child. The grown-up Dylan published a harrowing open letter to Allen in the New York Times. Allen responded with his own letter, denying the accusations, but the controversy remains in the memory. Allen is also no spring chicken at age 79, and making all the episodes of a television series is a very different animal from shooting one feature film a year. In the end, however, this is a case of Allen coming full circle. He started out in television, writing gags for The Colgate Comedy Hour and The Sid Caesar Show decades before the Internet came into existence, a time when streaming TV shows would have seemed like science fiction. More recently, he wrote, directed, and starred in a made-for-TV movie, Don’t Drink the Water (1994), based on his own 1966 stage play. While it might seem strange for a filmmaker as classical and old-fashioned as Woody Allen to suddenly embrace new technology and new ideas, perhaps some of his best jokes will spring from there.